You may have recently experienced issues trying to view KML files (trail maps) on your mobile device; well it’s been frustrating the hell out of us too! We’ve put together a list of tips to help you out. So far we’ve only tested on Android devices, we hope to test on iOS soon. KMLZ to Earth App – Download this app, it’s very handy. It beggars belief that you can’t open a KML file (Google’s own mapping standard) in the Google Maps App, and we will make a point of saying that you used to be able do it. Many sites like ours host KML files that store map data. Previously when you clicked on a KML file link the Google Maps App would fire up and show the map data, however since the recent update the app returns an error “No results found for …”. Another logical solution would be to click and hold on the link forcing a download of the KML file however when you click on the file in your “Downloads folder” you are presented with an error message “Cannot Open File”. WTF? 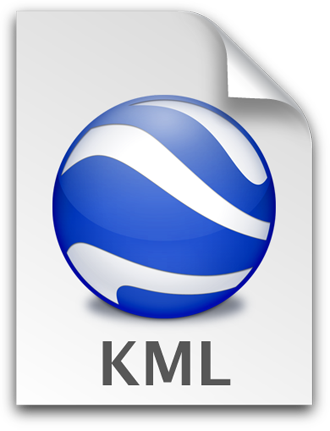 The KML file format is fully supported by the Google Earth and Google Maps but for some reason the Android OS cannot seem to redirect this file to a suitable app? The Google Earth App doesn't allow you to enter URLs nor open KML files from your device. WTF?. Open the KMLZ to Earth App and you should find a list of all KML files you’ve downloaded. Click on the relevant KML file and view in Google Earth. Google Earth will also show your location (bottom menu button >> My Location) which is invaluable when out on the trail. Google Earth automatically caches data so as long as you have viewed the map when you have a data connection you can retrieve that map area when out of range. Check your cache limits in the Settings menu of Google Earth. In the Firefox Browser or Default Android browser go to the link for the KML file and click on it. If you are asked where you would like to view the file click on the option to use the browser you are currently on. You may get asked more than once, keep selecting the same browser you are on. If the link automatically tries to open the Google Maps App or any other application you will need to reset the default application settings in Android (Google specific instructions for your device). Note, this will clear ALL your default application settings.